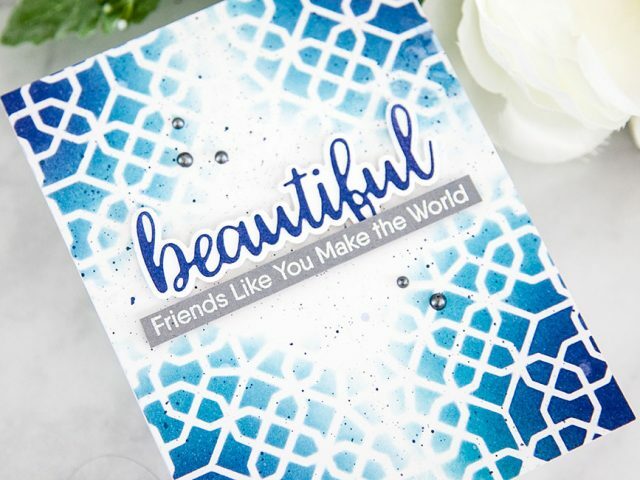 Hooray it’s release day for the My Favorite Things April Release! It’s been such a fun release and I’ve enjoyed sharing all my projects with you throughout the countdown. I have another fun one to share with you with some silly, selfie loving pets! 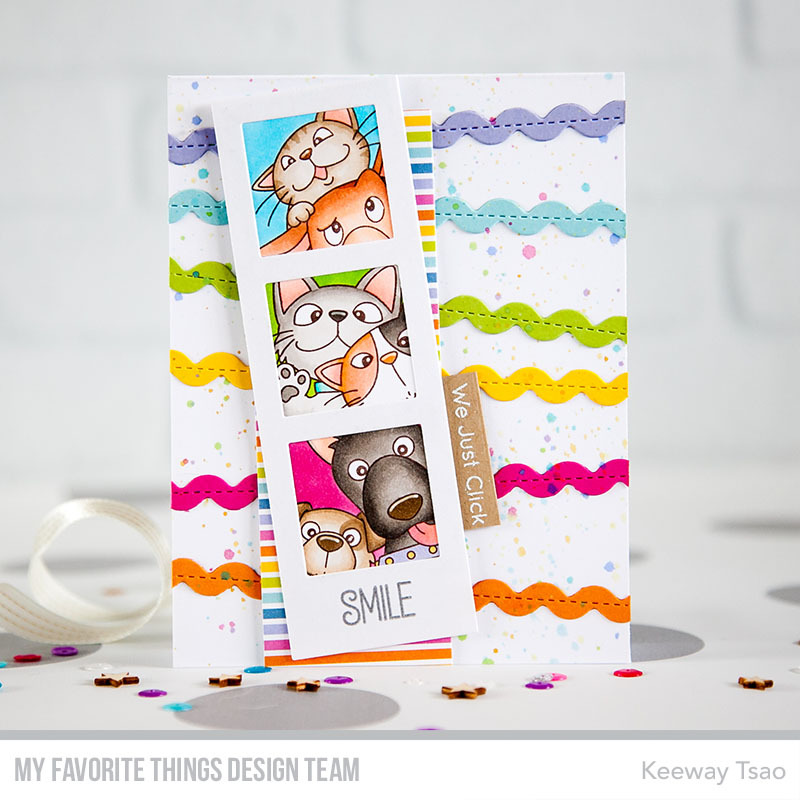 The BB Picture Perfect had such funny, playful pets that I wanted to create a card with the very same playful nature. And this month’s FREE die over $60, Stitched Ric Rac Die-namics, was perfect to help me with that. I die cut the squigglies out of various color card stock that matched the rainbow colors found in the Party Patterns Paper Pack. I added them directly onto my white A2 base card in various angles, and then used my watercolors to splatter similar colors all over it. I stamped various images from BB Picture Perfect in Milk Chocolate hybrid ink and colored them with my copic markers. Then I trimmed them down with scissors to fit behind the frames that I’ve die cut using the Photo Booth Strip Die-namics. I used the dies again on a rainbow striped piece of pattern paper from Party Patterns Paper Pack and added it behind it at an angle. I heat embossed the ‘SMILE’ in silver directly onto the photo strip, then a separate sentiment ‘we just click’ in white onto Neenah Desert Storm card stock. The second sentiment was trimmed down and added to the side of the photo strip. And finally, I added the photo strip to my card with foam tape. 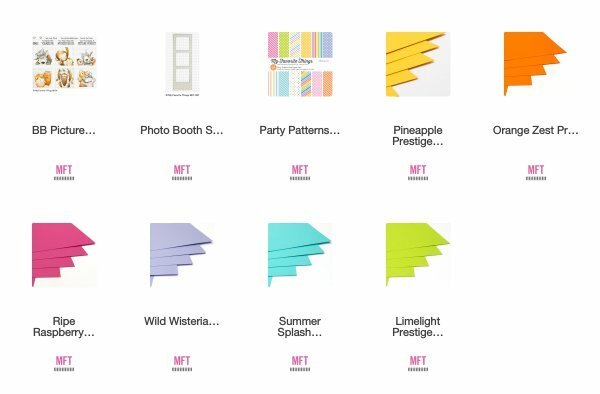 Be sure to visit the MFT stamps blog for all the April Release inspirations from the team and our friends. Thanks for stopping by! This is so fun! 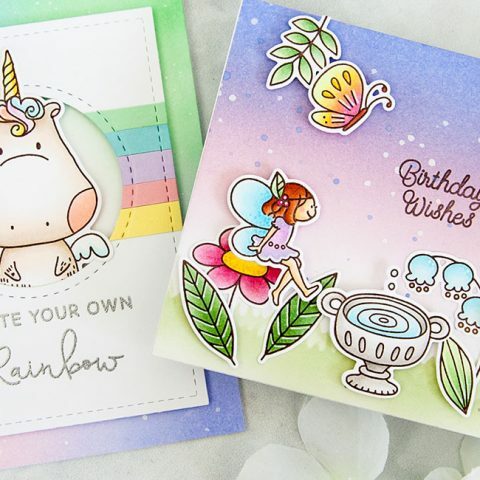 It’s like a party on a card! 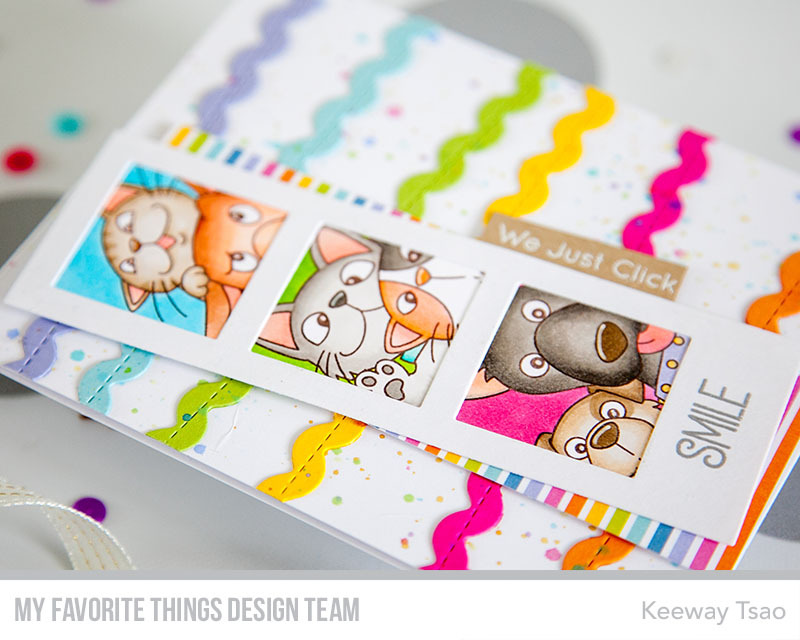 Super fun, colorful, and playful- I just love this! Such a fun and happy card. Love the colors. 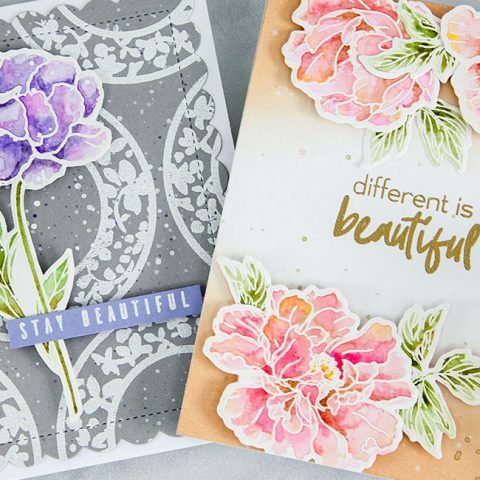 The bright colors on your card really pop! I love the new snapshot stamps. You colored them perfectly!! I love the colorful way you designed the cards. Oh my!!! What adorable and funny card! Love so much the gorgeous layout and the beautiful colouring!!! So cute!! Love the fabulous background! Love it! So colorful and cute! I ADORE THIS! Great Coloring! Great background!!! I like the colorful ricrac in the background. 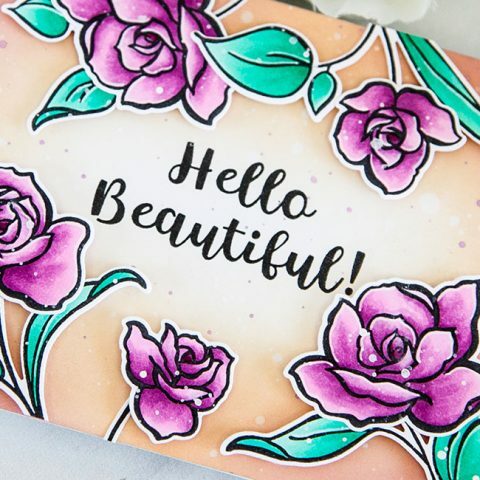 I love this stamp set so much, and you did a fabulous job coloring it. 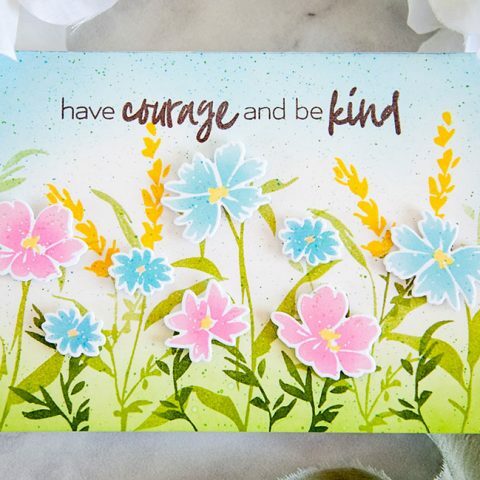 I really like how you matched the backgrounds in the “photos” with the colors of rickrack on your card background. This is definitely a party of a card. Thanks for sharing with us! This card screams fun fun fun! Really great, thanks for sharing! So cute and colourful! 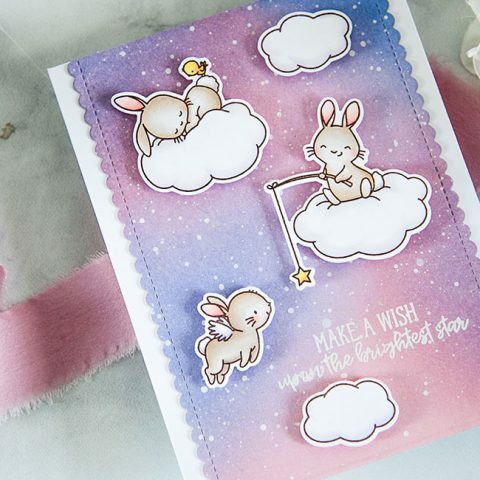 A card to bring a smile to anyone’s face! 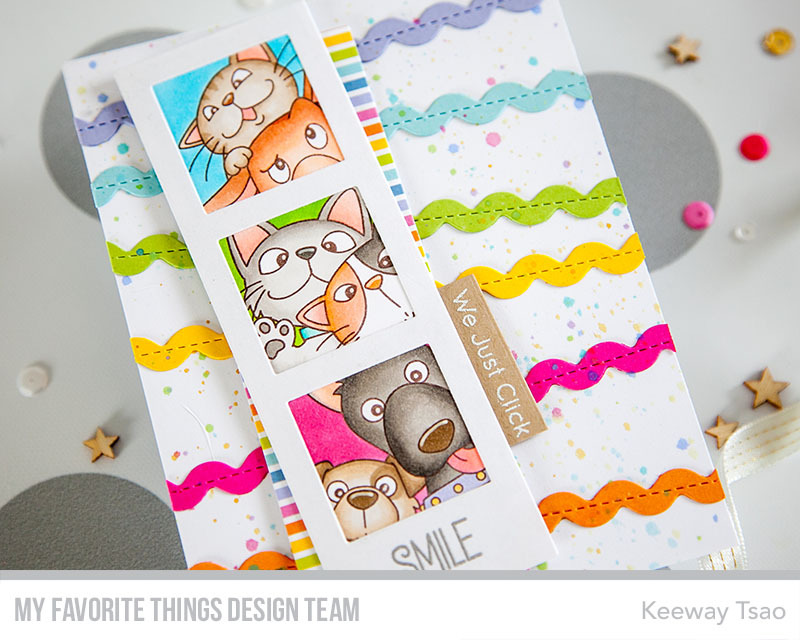 Love these cute critters and all the cheery colors. This card is so flippin cute! Simply adorable! 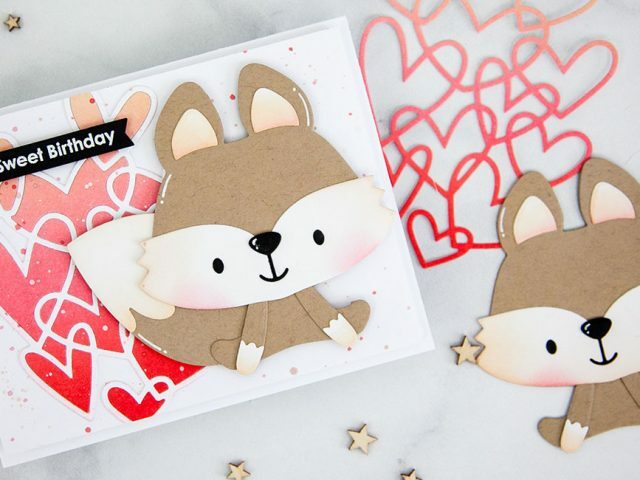 love these super cute critters! thanks for the inspiration Keway! Such an amazing card. Thanks for sharing. Very fun card! Love the ric rac and the cute critters! Another wonderful project. 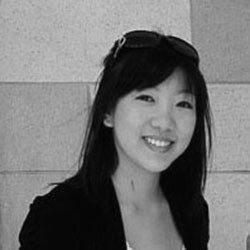 Thanks for sharing all your great projects this month. 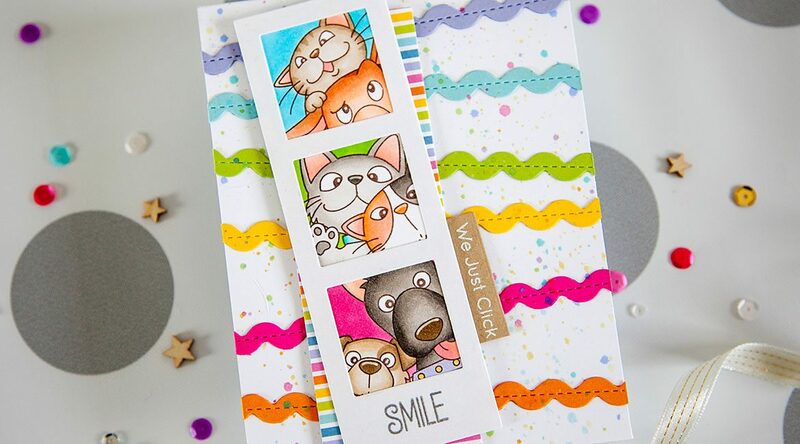 Love the bright colors and how fun and playful your card is! 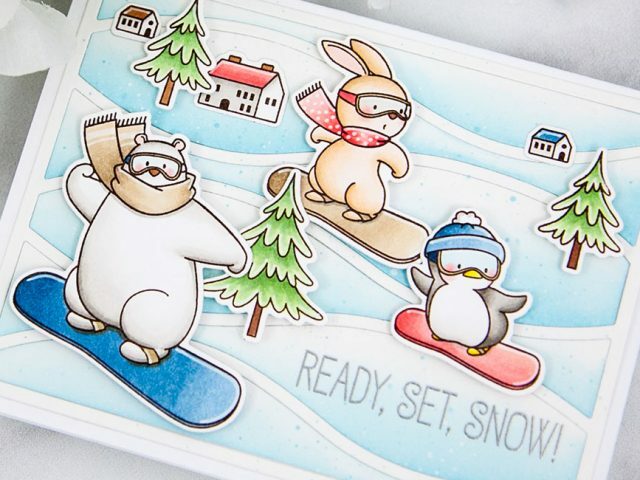 Very cute and fun stamp set. I love the ric rac in the background with the colorful splatters. I love how you used the dies in those bright colors! 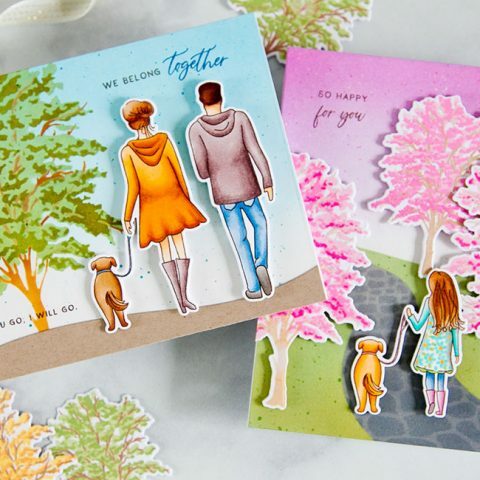 thanks for sharing a great and happy card. I cannot wait to color this set of stamps! I love the bright colors you used in the ric rac that match how you colored the images. totally cute! Such an adorable card. Love how the splatters match all the other colors you used. Great card!! Eeeeee, this is such a fun card! I love your design! I love everything about this card! The color coordination, the color splatters, the colored backgrounds for the “photos,” and the ricrac. It’s all perfection!